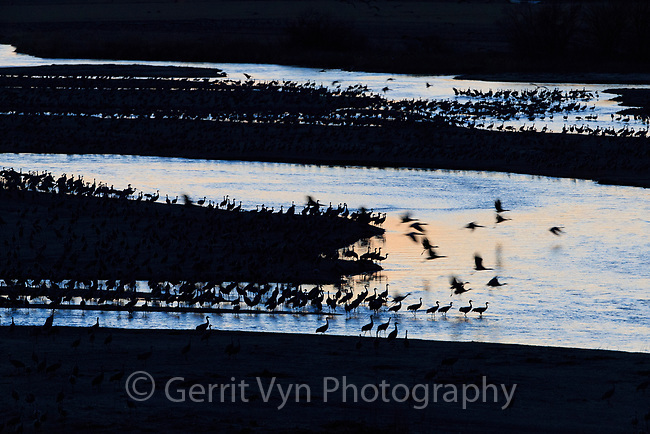 Sandhill Cranes (Grus canadensis) roosting in the Platte River during their northward spring migration. Central Nebraska. March.